Located in the heart of the Hill County town of Fredericksburg, the National Museum of the Pacific War is truly an exceptional place. 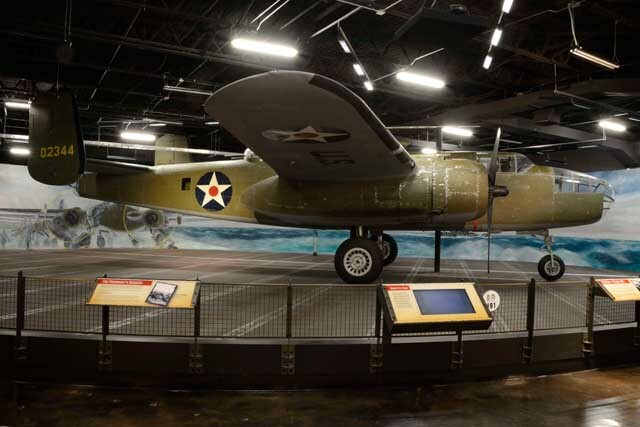 This six-acre museum is home to one of the largest collections of World War II memorabilia and equipment, along with in-depth displays that provide insight into the origins, events, and aftermath of the conflict. The centerpiece of the complex is the Admiral Nimitz Museum, housed within the inn that once belonged to the famous admiral’s family. Explore the main building, stroll the Memorial Garden to see plaques dedicated to those who served in the Pacific Theater, and take a few moments to reflect as you tour the Japanese Garden of Peace. You can visit the museum almost any day of the year. Read on for more information about hours and the cost of admission. Tickets are good for 48 hours. Confirm group or bus tour reservations by calling (830) 997-8600 ext. 210. To confirm school group reservations, call (830) 997-8600 ext. 222. Tickets are non-refundable. This is an outdoor program that is canceled only in cases of severe weather. In the case of program cancellation, rain checks will be issued. This is not recommended for small children due to loud noise. Prices and operating hours are subject to change. Please check the National Museum of the Pacific War’s website for up-to-date information before planning your visit.